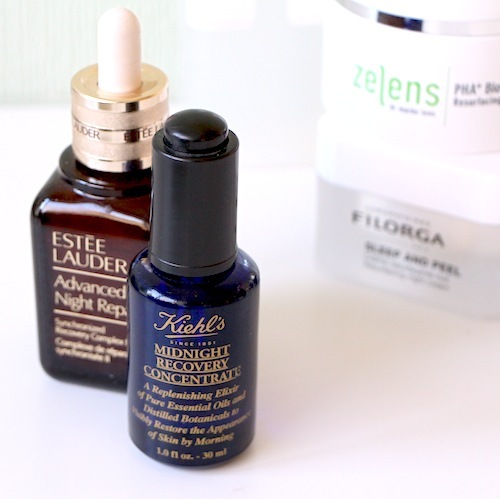 I do also very much like the Advanced Night Repair from Estée Lauder – the new and improved version, read about it here – and the night serum from the Chanel “Skincare Wardrobe”, see here. I mention a few other bits and bobs, too – all of the products are listed below if you can’t be bothered to watch the video. Two things: I’ll reiterate that I don’t go crazytime with these exfoliants. Couple of times a week and then the nights in between I’m using either a night cream (regular moisturiser will do, “night cream” is just a hint at the fact that it doesn’t contain SPF, because you don’t need that in bed unless you live on a desert island, sleep at the top of a palm tree and work night shifts) or I’m treating myself to some kind of nice oily situation. Pai’s Age Confidence, perhaps, or Sarah Chapman’s Skinesis. There are loads out there, too many to choose from, really. Incidentally – and this is only mildly relevant, I suppose – Pai have launched their Christmas sets. They are beautiful. The Bedtime Beauty Essentials set (see the thought process here?) is the most expensive at £80 but there are others priced at £30 which are great value. You can view the gift sets here. Right, on with the vid. Please ignore the fact that I look a little dark under the eyes (oh the irony! 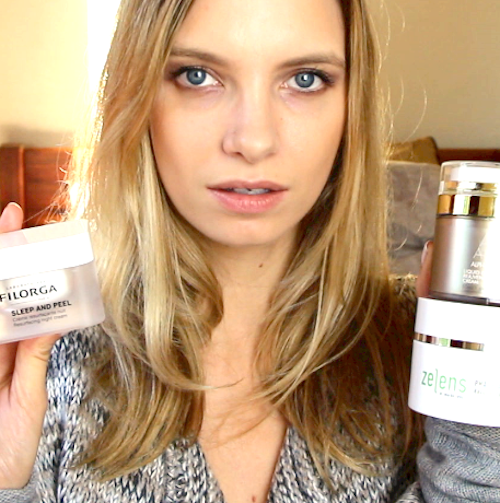 In an “Overnight Beauty Miracles” video!) it’s the lighting. If you are reading via email then please click here, if you wish to simply skim-read the products I talk about then cast your eyes downwards.